Arsene Wenger has spoken out on his contract. Arsene Wenger signed a new 2 year contract in May amidst continuous protests from supporters who had wished that the manager leaves. 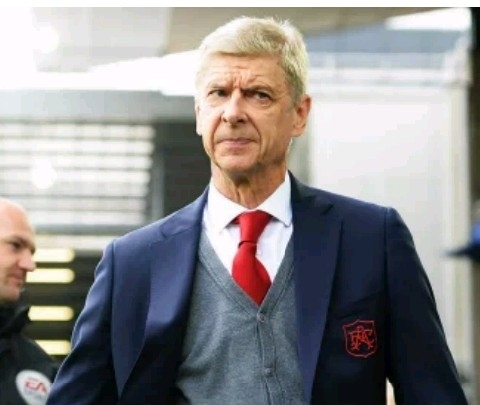 Arsene Wenger has been at the Emirates stadium for two decades now and he has won the gunners many trophies including that invincible season where the club finished the whole season un beaten. “I want to feel that I do well and see what the board will think of my performance. After that we decide where we go from there.” the manager is quoted by Daily Star. The Arsenal supporters won’t believe that last statement because he once said that he would finally leave this year in May but he then accepted a new contract which proves that the manager doesn’t want to leave the club because it seems he would wish to leave with an honour of winning the English Premier League. The gunners have finished thirteen years without winning the EPL and this has made most fans hate Arsene Wenger because he isn’t getting them the results they want and doesn’t want a change of manager yet it is something gooners are craving for. One of the most top reasons Arsenal fans have fallen out of favour with Wenger is he’s transfer policy because he doesn’t want to usually sign word class players. The gunners have started this 2017/18 campaign on a poor note as they have obtained only 16 points from 9 matches and have suffered some embarrassing defeats against Liverpool and Watford which has made gooners question the capability of their current squad whether it will be able to compete.